Okay, so my white jean series was a bit of an 'I didn't mean to be fashion lazy' moment, but i'm rolling with it! 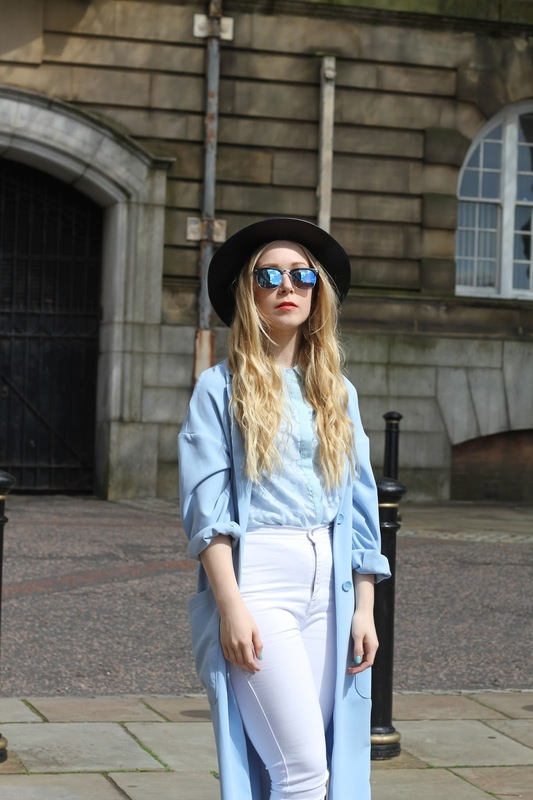 There's so many ways you can style white high waisted jeans, with my first look being a monochrome/grunge look (see here), and my second being a girly blue and white ensemble. I wore this outfit to go shopping in Preston last week and just had to take advantage of the sunny day and beautiful location, that is probably the closest i will ever get to London! 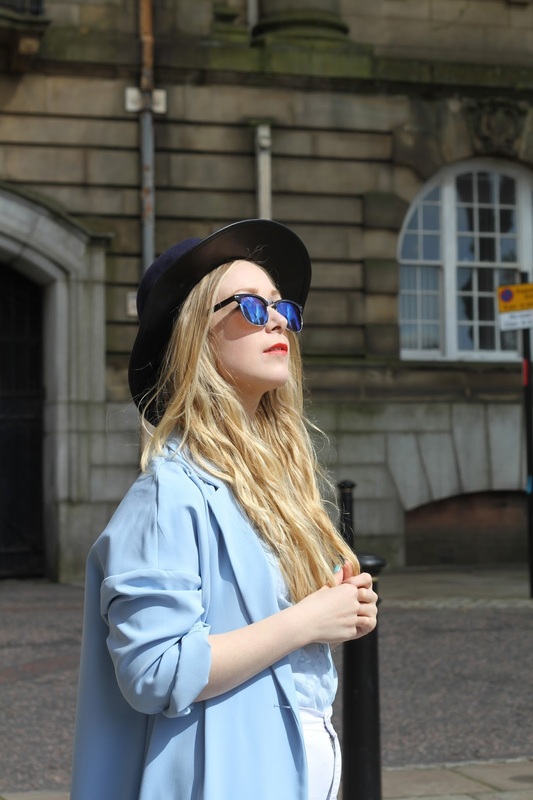 I'm also in love with reflective shades and think they bring my whole outfit together, adding that extra bit of glam, not to mention the entire outfit (apart from my jeans) is Primark! Bargain! super cool outfit, love the duster! These pictures are awesome and you make a casual outfit look so cool, like those sun-glass. 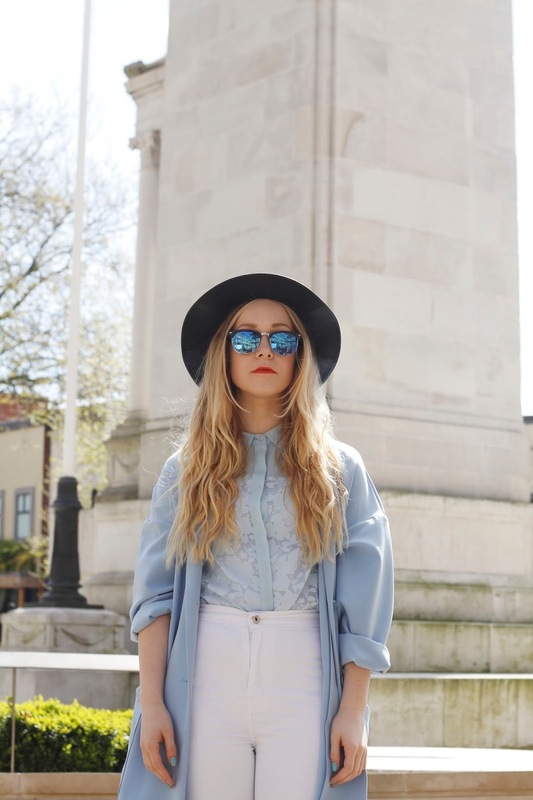 Loving the pastel duster coat, just gorgeous! Love the duster! I can never find one that long! 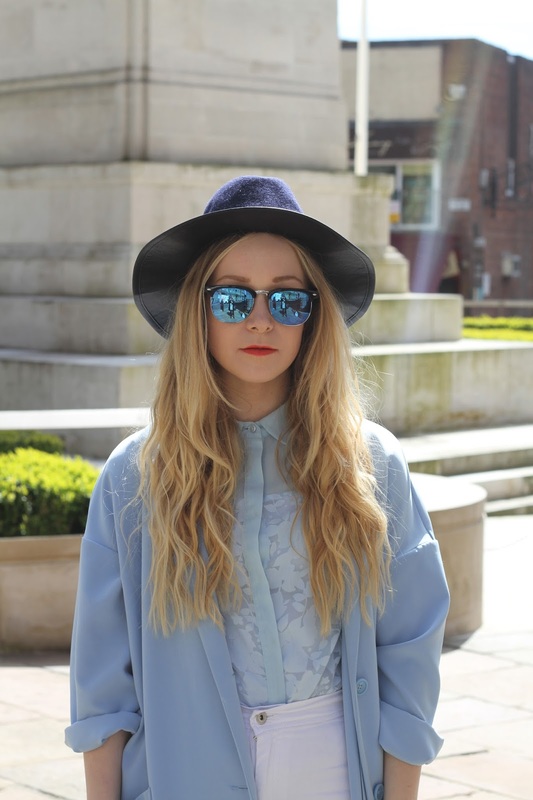 Absolutely love that baby blue duster coat - you look great!